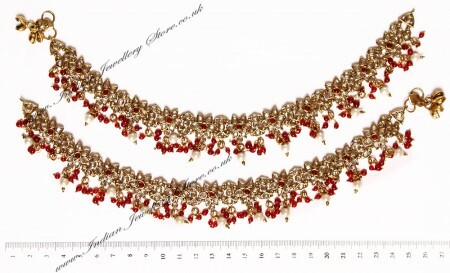 Pair of Payal (Indian anklets) in antique-M gold colour and maroon red, set with faux pearl and premium polki stones. 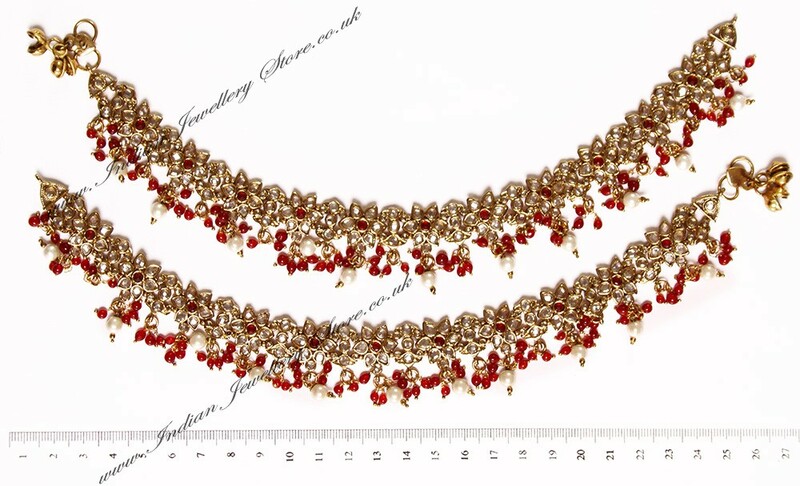 This Payal can be coordinated with our premium range Jodha Akbar bridal set in the same colour and metal plating. Scale shown in image is in cm.